What does an Interior Valet involve? First the interior, including the boot area, will be thoroughly vacuumed thoroughly to remove any loose debris. Once the vacuuming os complete, then the fabrics are cleaned. This involves the carpets, mats, boot carpet and fabric seats. 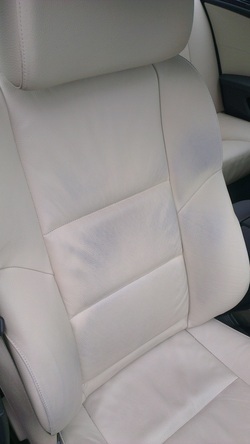 The seats are treated with a dedicated cleaning product, scrubbed, and then the dirt is removed with an extraction machine. This is perfect if your car upholstery is in need of cleaning. Then all plastic and dash surfaces are cleaned, and interior glass cleaned. If your vehicle is fitted with leather seats, that is not a problem. They will be cleaned with a leather specific cleaning product, and then treated with a leather protection cream. 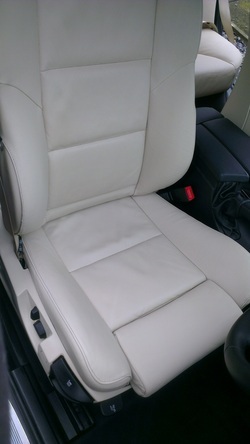 By using leather specific products, this is the best way for us to look after your leather seats.